I really could use some sunshine and sand right now. And a fruity drink with a little paper umbrella would be quite nice, too. 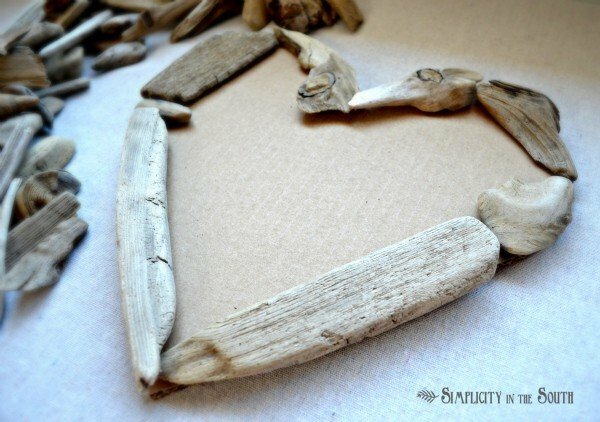 🙂 All I could think about while making this driftwood heart was how much I look forward to going to the beach with my family this summer. Since summer is 146 days away (yes, I’m counting), this little piece of coastal-inspired art will have to suffice. 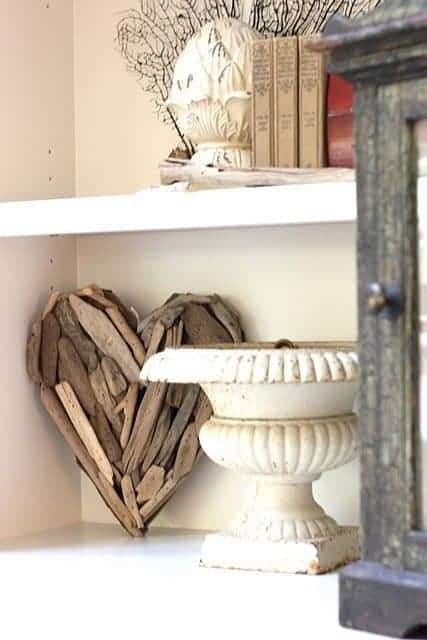 I fell in love with this driftwood heart that Forever Cottage had nestled in her bookcase. Similar ones online are not cheap. Expect to pay at least $75.00. 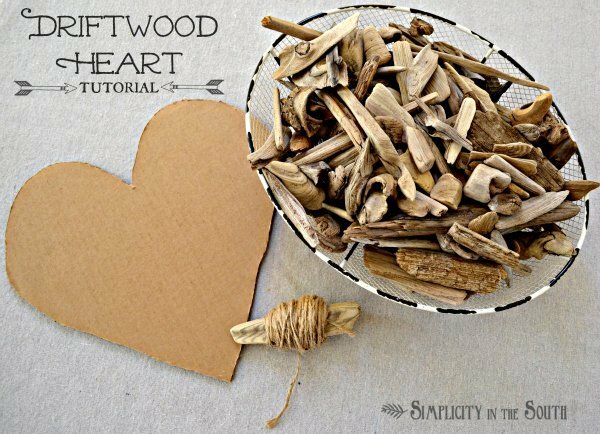 With a few supplies such as cardboard, hot glue, twine and pieces of driftwood, you can create your own sweet, little driftwood heart art. 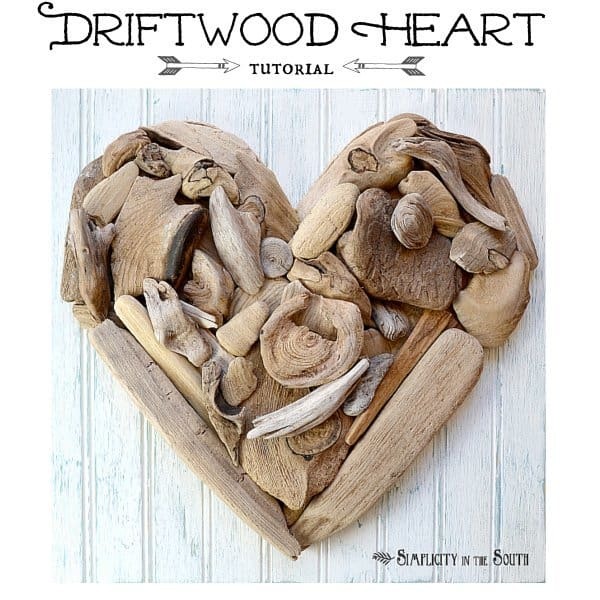 If you don’t have access to driftwood, you can purchase a boxful from this shop on Etsy. I wanted the heart to be 12 inches at the widest part in height and width. I used a piece of cardboard for my base. and filled in the rest, gluing the larger and flatter pieces first. It’s similar to putting together a puzzle. The pieces, although very different, just find a way to fit together. When the heart was complete, I hot glued two rows of twine along the edges to hide the cardboard. I used construction adhesive to attach the heart to a piece of 14″ x 14″ bead board and let it dry overnight. The piece of bead board is optional, but this helps it sit upright and makes it easier to add a hook if you decide to hang it on the wall. I had all intentions of making this just for Valentine’s Day, but the longer it stays on our bookcase, the more I think I want to keep it there after the holiday. 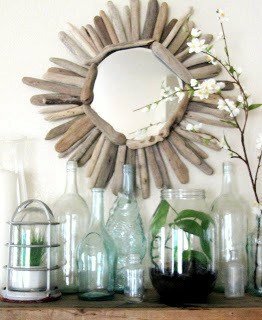 I’m using what I have left over as vase and mason jar fillers, but I’m hoping I have enough to make a driftwood mirror similar to Emily’s from The Wicker House. 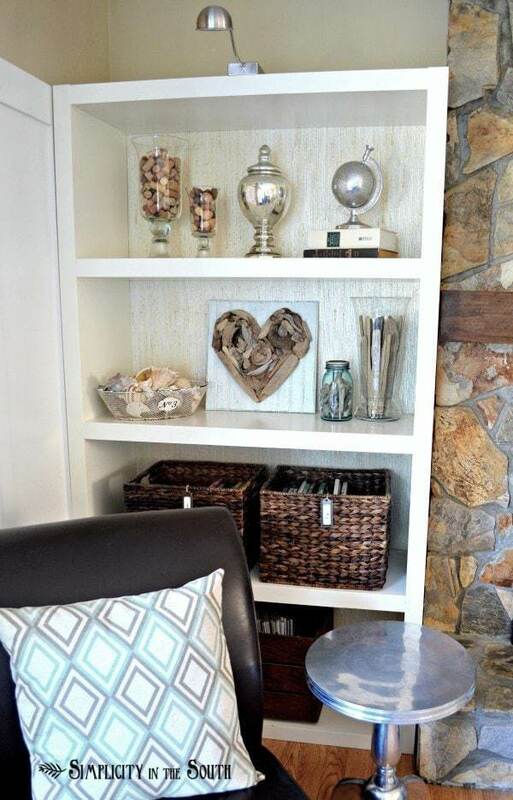 Is there anything you decorate with that reminds you of summer vacation all year long? 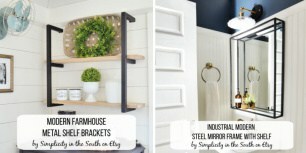 Here are some more Holiday DIY projects ideas! I have some exciting news to share with y’all! Starting next week, I’ll be a monthly contributor for Shannon at Fox Hollow Cottage! I hope you’ll join me over there when I share my first project! 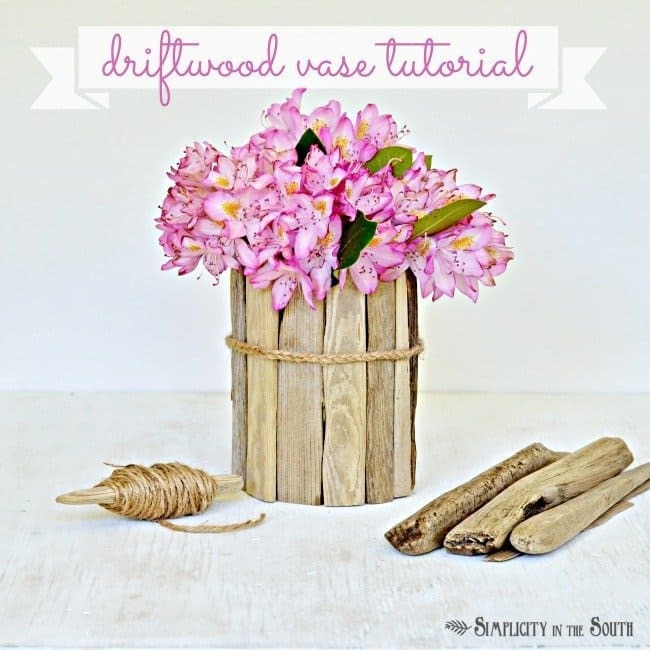 Want to see how to make a driftwood vase? Click >here< for the tutorial. 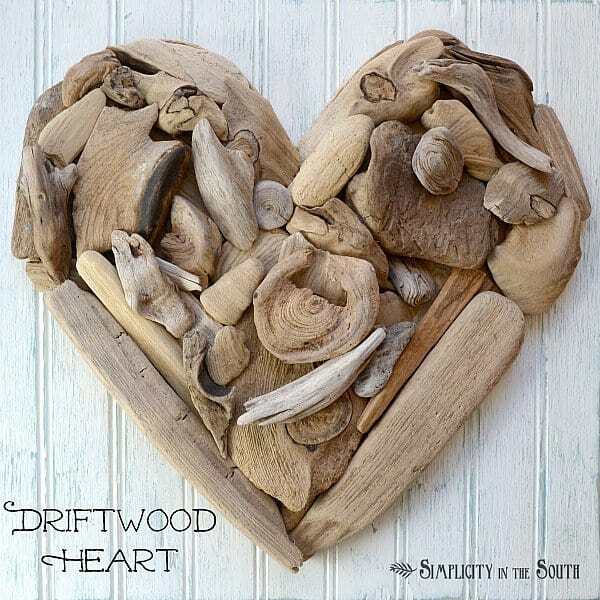 Edit 02-12-13: Want to see some more driftwood heart art? 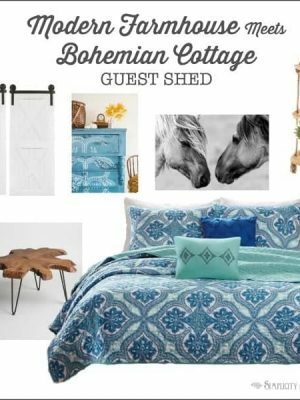 Check out this post from Completely Coastal. Subscribe to our newsletter to get inexpensive decorating ideas, DIY tutorials, organization tips & simple craft projects. You have successfully subscribed to receive our newsletter. We promise not to spam and you can unsubscribe at anytime. This gives me an idea for our Airbnb rental at the beach. Love this! Great idea! I’m glad this inspired you! 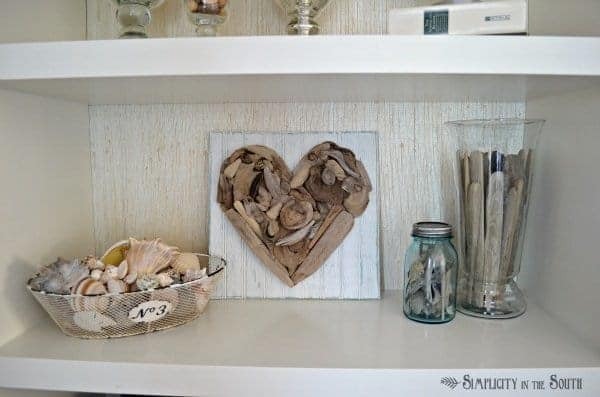 I love the driftwood heart and just threw out some pieces of driftwood I picked up at the beach last year. Will be going back out to the woods to reclaim and make some of these for Valentine’s Day gifts. Thanks so much for the inspiration! This is just so pretty! You’ve made me love driftwood again! Very cool! I suppose the same technique can be applied to make a summer wreath. I am lucky to live in a place in Australia where summer is all year ’round 😀 however I miss the change of seasons so am always looking for seasonal ideas – wreaths are such a good idea to celebrate each season (or occasion) – thanks for celebrating summer! So cute! Too bad if we don’t live by the sea, right? Adorable! I wish drift wood was available locally. I can make a stick heart. lol! Beautiful job, as always! I really like how different each one can turn out. Great idea. Wow! This looks incredible. I absolutely adore how this turned out. Even though it is great for Valentine’s Day, you could totally leave this out all year! Sooo pretty! The fact that you can use it year round makes me love it even more! What a great idea. I love the rustic valentine vibe it gives! Thanks for sharing. I’m swinging by via the Valentine’s Day Party link up…and I’m so glad I did! I live in the South near the water and this project is sooo me! 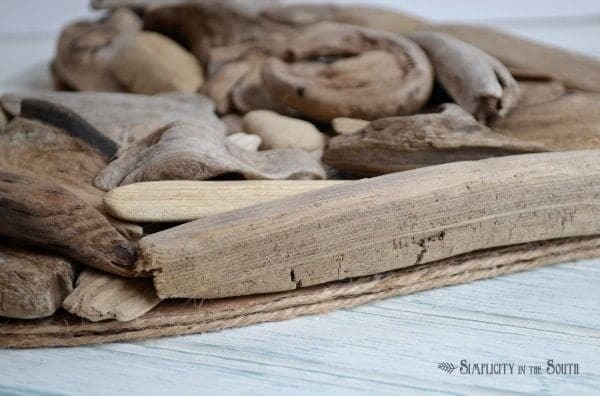 I’ve wanted to do something with driftwood in our home, but I had no idea where to get any. Thanks for sharing your source and your beautiful project! 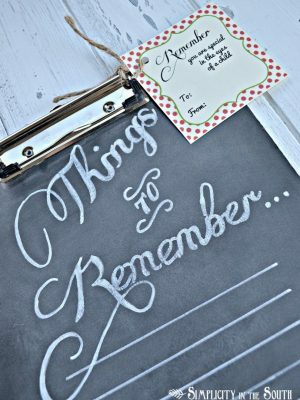 Super cute project and you made it look easy and doable! That has to be the most beautiful collaboration with Nature I’ve seen in quite some time. Pinning! Love this Tricia!! Think I might have to go out and look for some driftwood. Living by the coast I should have access to plenty!! 😉 Never thought of doing anything with it! I have small pieces of drift wood a friend gave me. I can’t wait to try this project. I will send you a pic of the finished product. Thanks for the inspiration. Oh, it’s beautiful!! I love this idea. Seriously – it’s gorgeous. I used to live close enough to some good places to get some beautiful driftwood. I’ll have to order some off of that Etsy shop now. 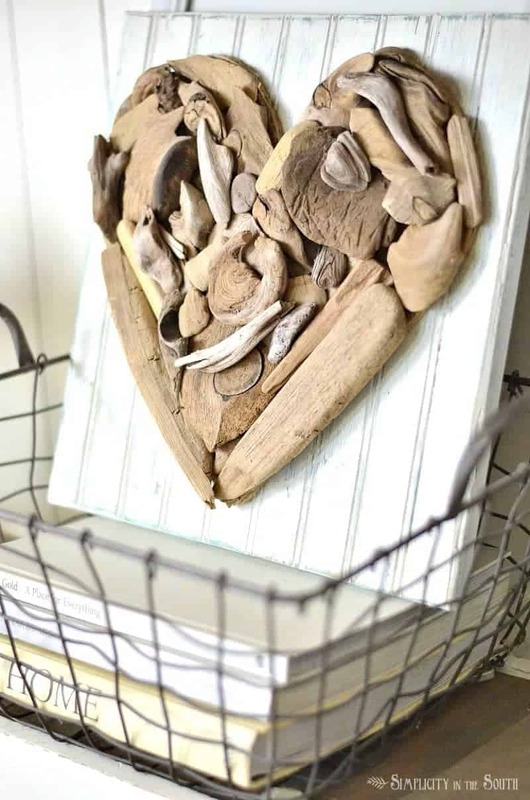 Another idea for displaying your heart (WHICH by the way is PRECIOUS) is to put it on a plate stand like one you would get at Michael’s for vertical display on a table. Also, if any of you have a husband who is handy and has a jigsaw, you could make your base out of wood which would then make it easier to attach to a hanger. What an amazing idea! So creative and so appealing! Love it! So happy to have you on the team!! 2013 is going to be SO exciting!!!! 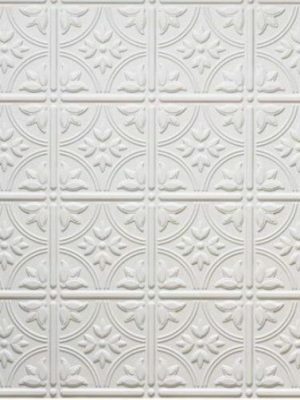 This is really lovely, I love home decor made from natural things. Such a warm and touchable feeling…that sounds a bit odd… Inviting sounds less creepy ;). Well I’m counting down until the Australian winter, summer has been rough. Australia Day today so off to celebrate!! You may want to check out my listing for driftwood.